I don't know anyone without cable TV these days. All homes I know have at least 1 cable subscription. With our household hooked on TV- and movie-watching, having one is a must. Before I got married, my family used to be with another cable TV service provider, which was eventually bought by SKYcable. 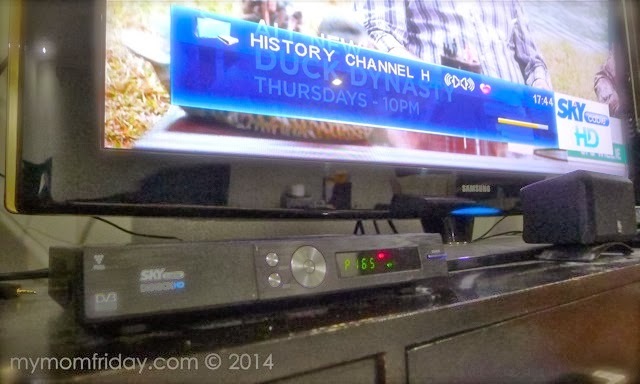 We've now been with SKYcable for more than a decade. "Only SKYcable gives you a world of limitless possibilities with its widest selection of channels and different ways to enjoy it." It has the most varied and relevant cable TV programs with great value-added services for your family’s viewing enjoyment, #TheWayYouWantIt. Before we go to our instant blog raffle courtesy of SKYcable, let me share some of their innovative features and services, which made our subscription package more flexible, making SKYcable the leading cable TV service provider. Most number of high definition (HD) channels - this is one of the features we love most, with 42 HD channels to choose from - the most in the country! FOX Pack (P299/month); HBO Pack (both SD and HD at P350/month); Movie Pack (P550/month); Sports Pack (P550/month); Kids Pack (P249/month); Korean Pack 1 or 2 (P199 or 900/month); HD 40 Pack (P1999/month) which airs Cartoon Network, Cinemax, Comedy Central, Discovery Channel, E!, Food Network, Fox channels, HBO channels, History Channel, Nat Geo channels, Adventure HD, Nat Geo channels, NBA Premium, Star World, and many more! Get access to the widest variety of live entertainment with Pay-Per-View - from sporting matches, blockbuster movies to live coverage of special events and concerts. 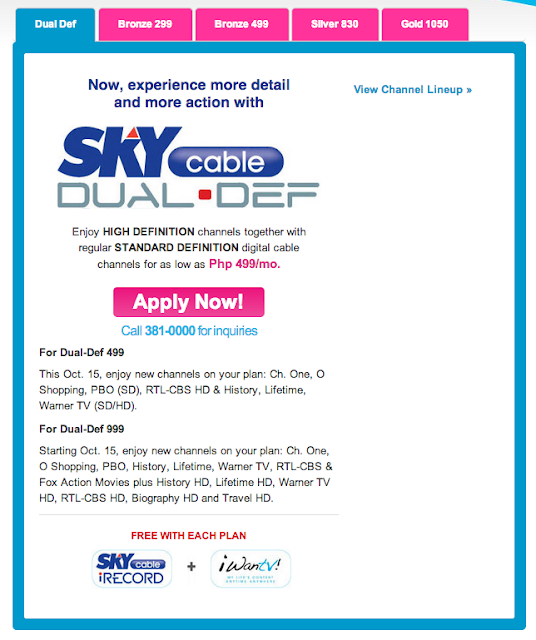 Are you a SKYcable subscriber? How's your experience? Now let's have a little fun with my first blog raffle of the year! SKYcable is giving away these cool premium items to one (1) lucky My Mom-Friday blog reader! It's so easy to join. Just follow the simple Rafflecopter steps for instant entries! A confirmation email will be sent to the winner with instructions to claim the prize. 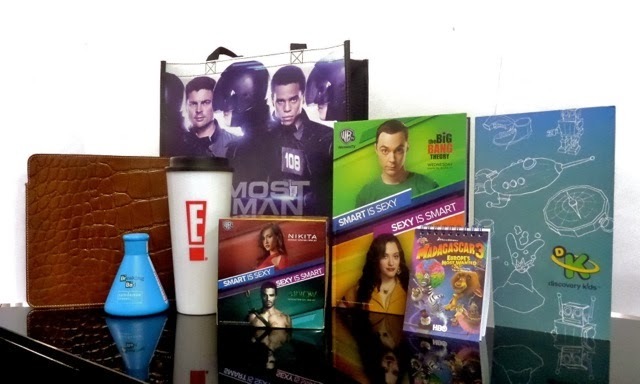 This raffle is open to all blog readers, as long as you can claim the SKYcable prize package at: Unit 2E03 & 2E05, Building 5, Bonifacio High Street, Taguig City. Blog raffle runs until January 24, midnight.